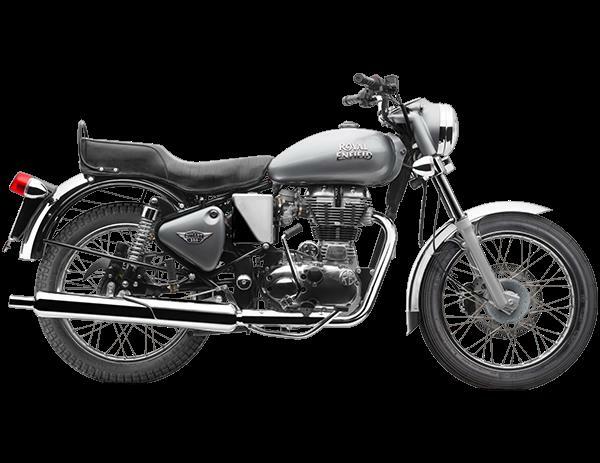 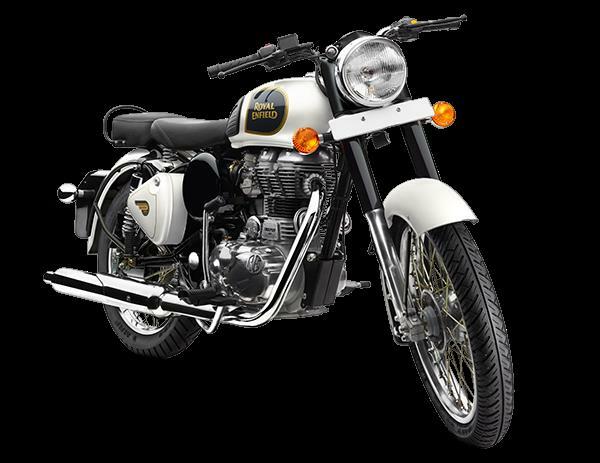 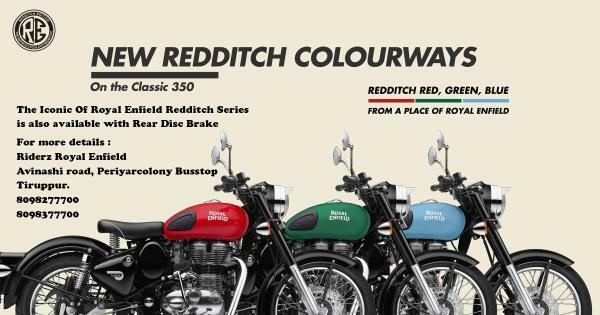 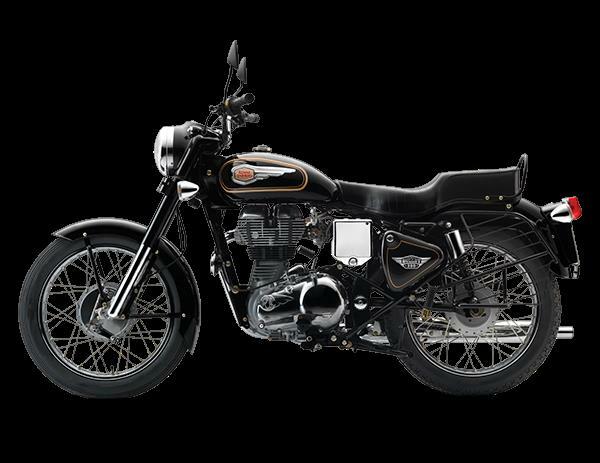 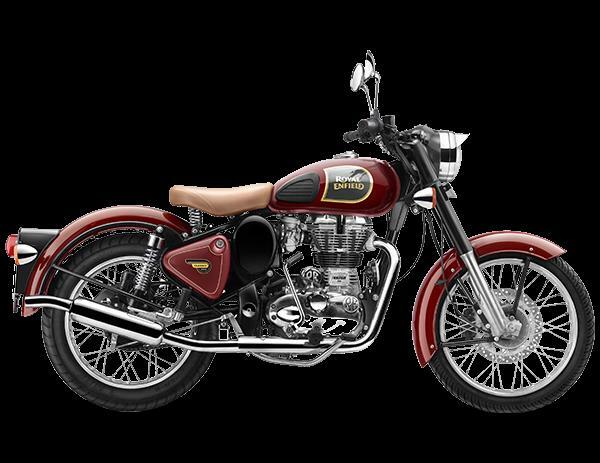 RIDERZ - Call 8098977700 in Coimbatore ,We are the authorised Sales and Service Partner of Royal Enfield Bikes in Tiruppur. 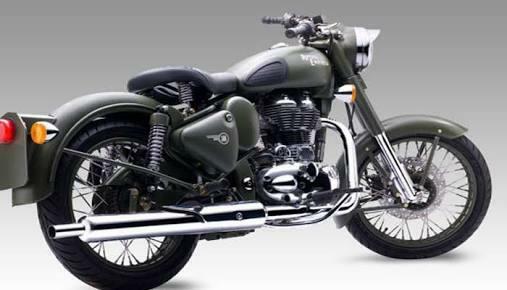 And we are the Dealers of all kinds Royal Enfield Bikes. 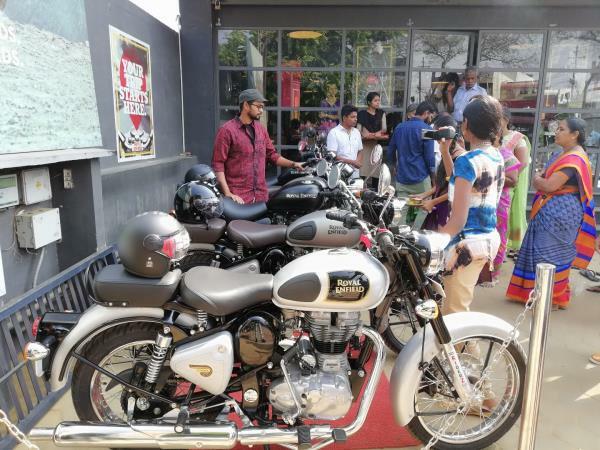 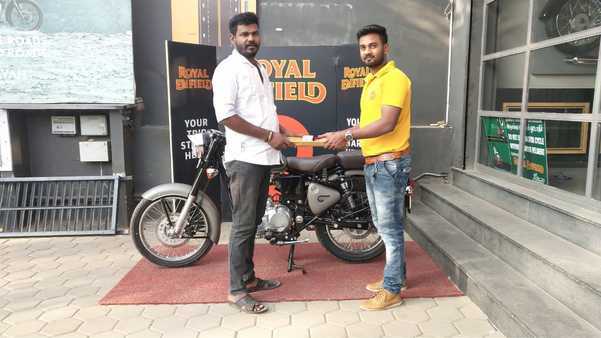 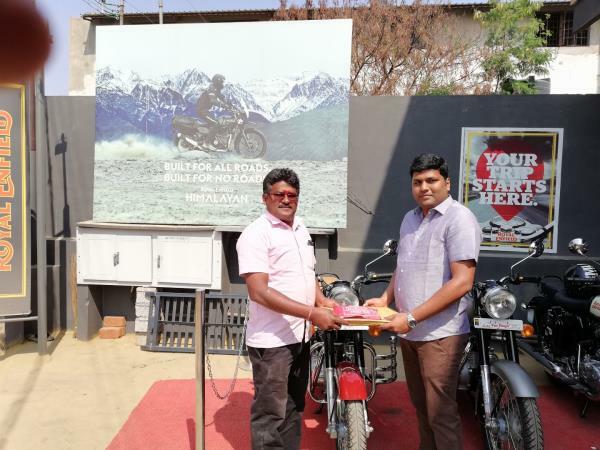 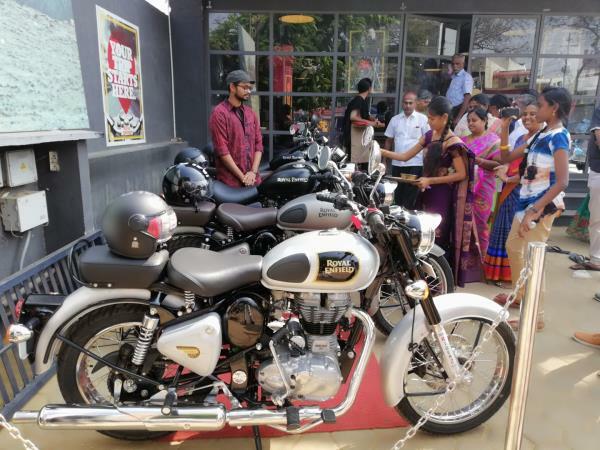 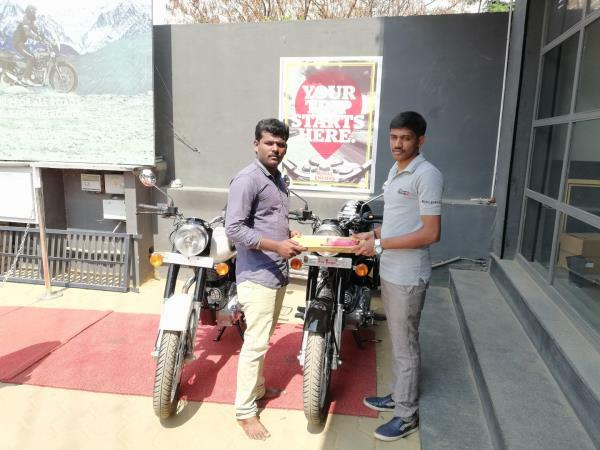 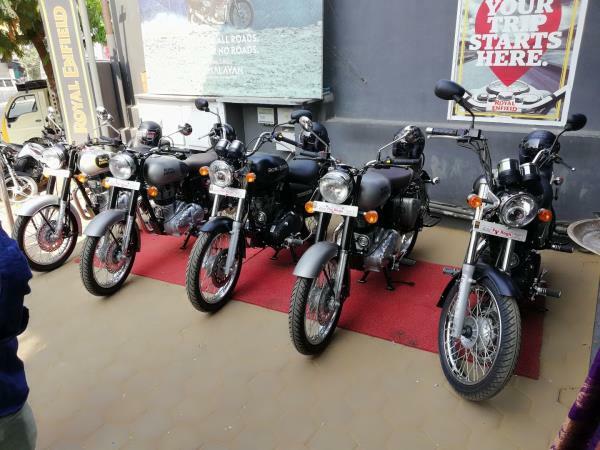 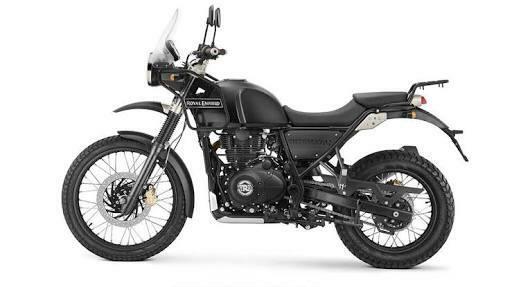 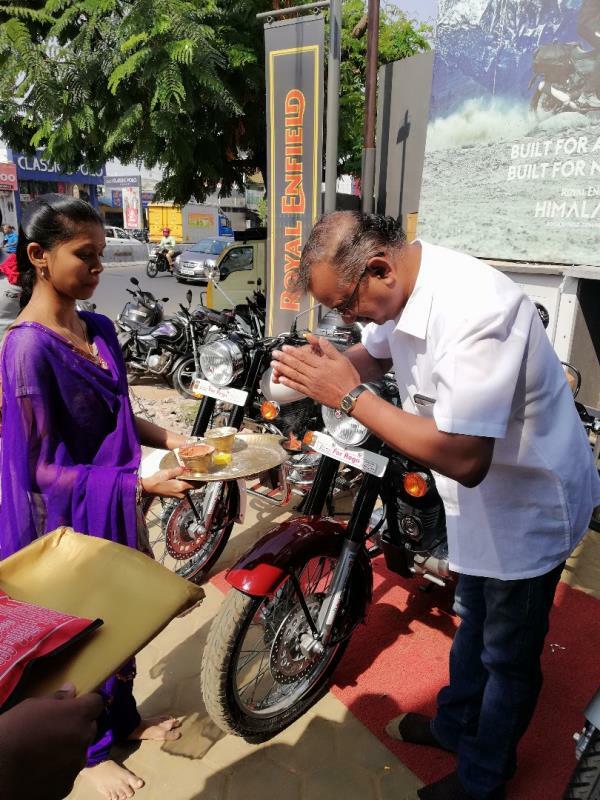 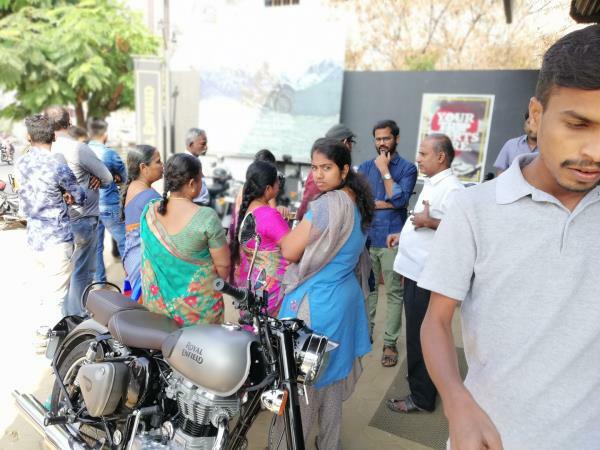 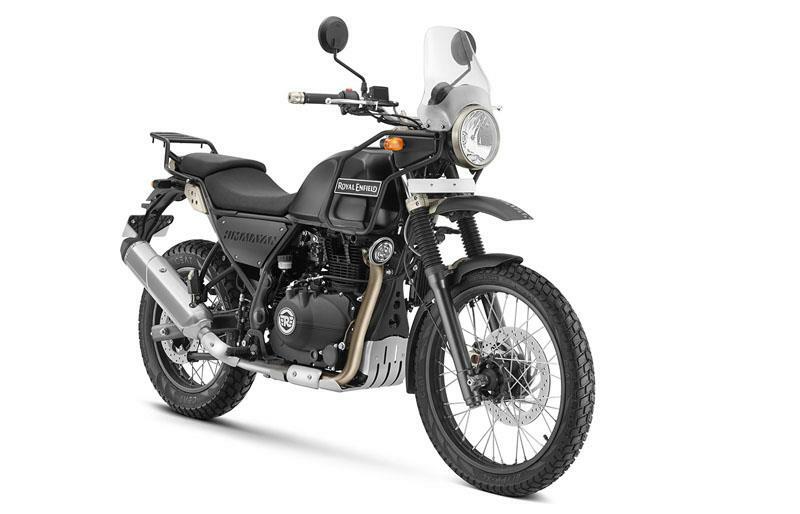 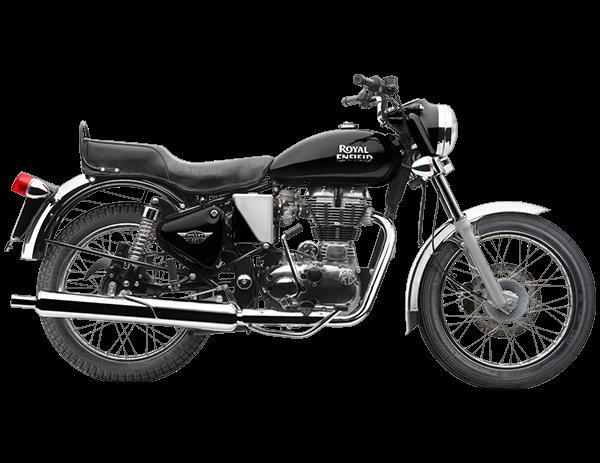 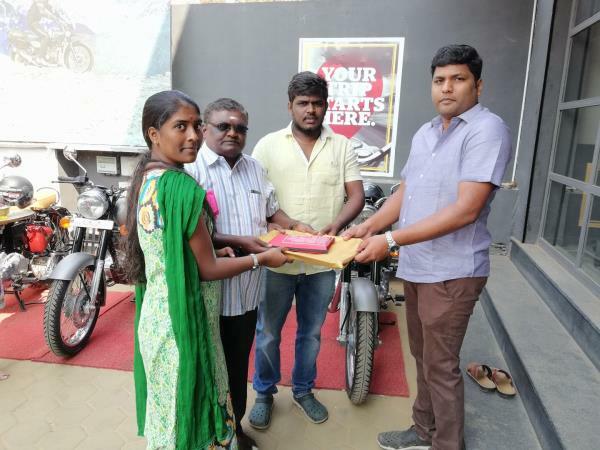 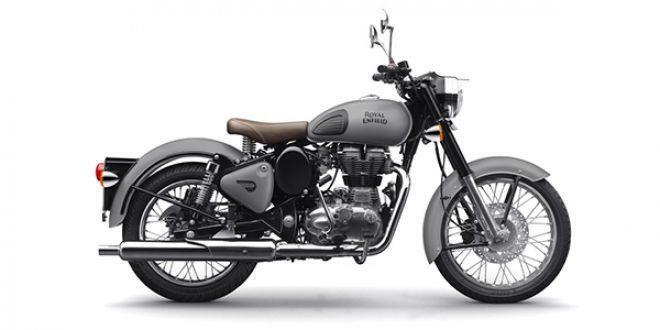 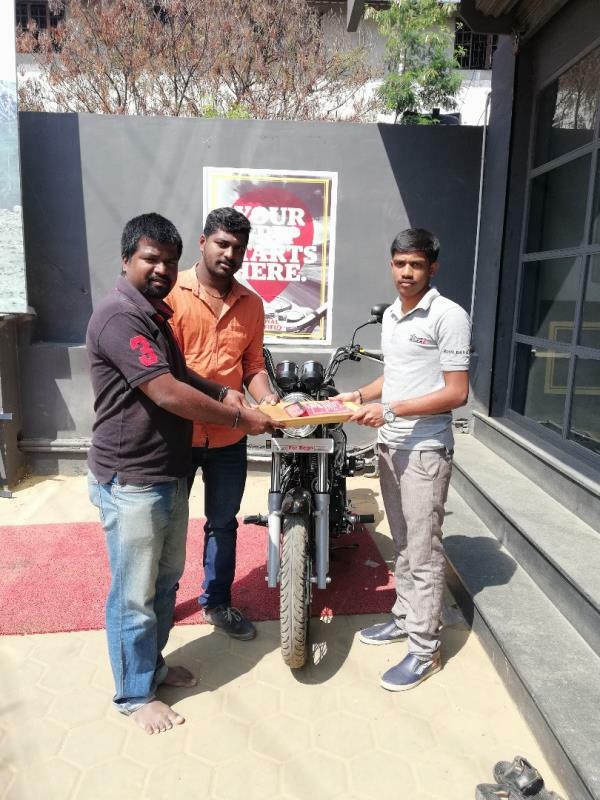 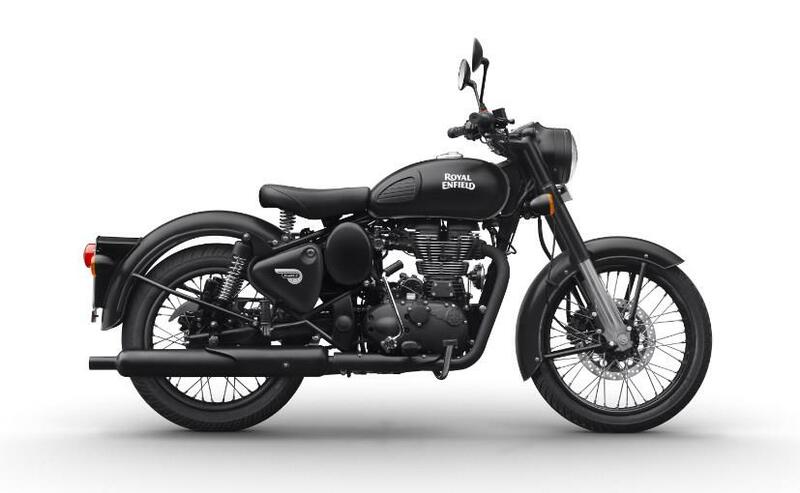 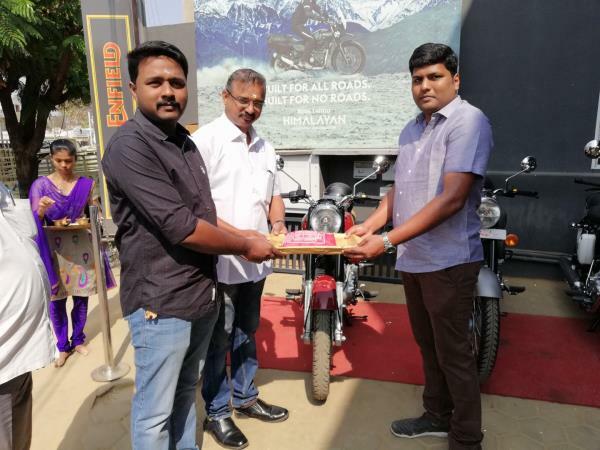 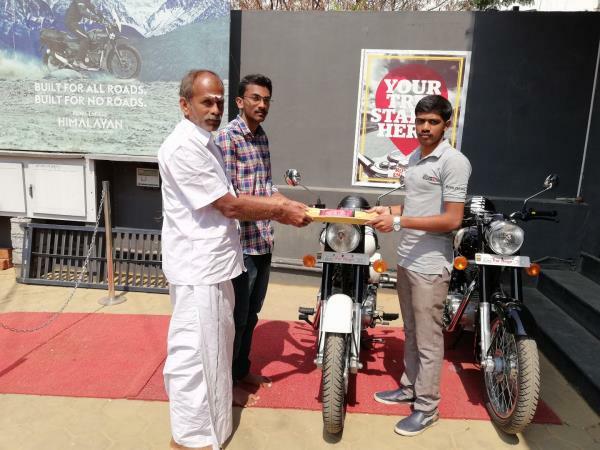 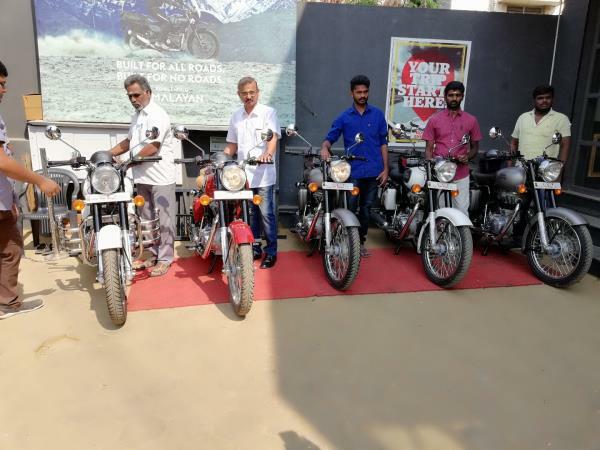 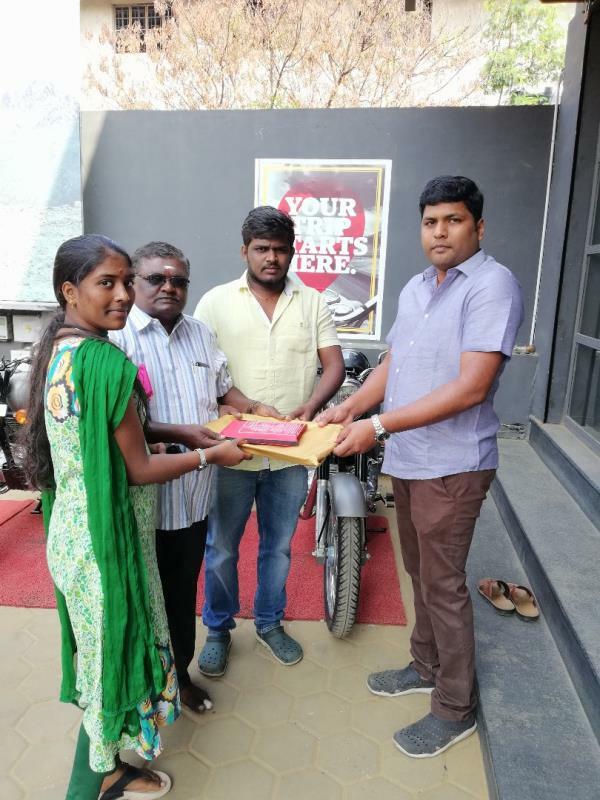 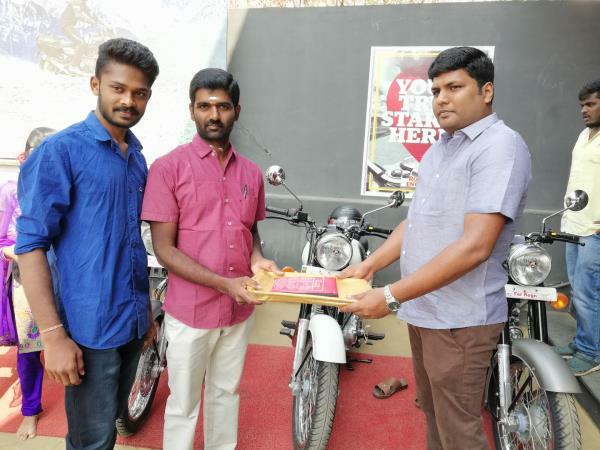 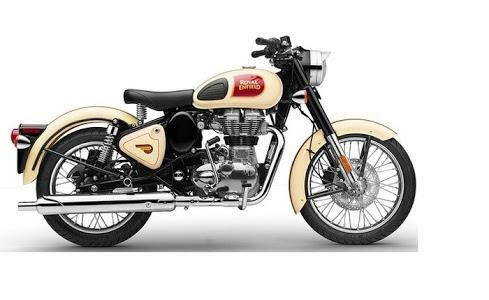 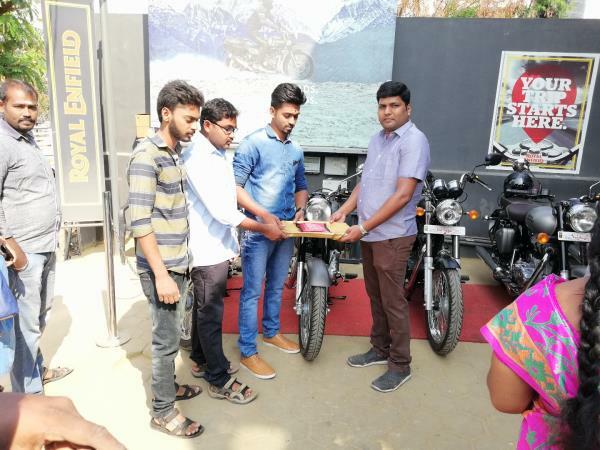 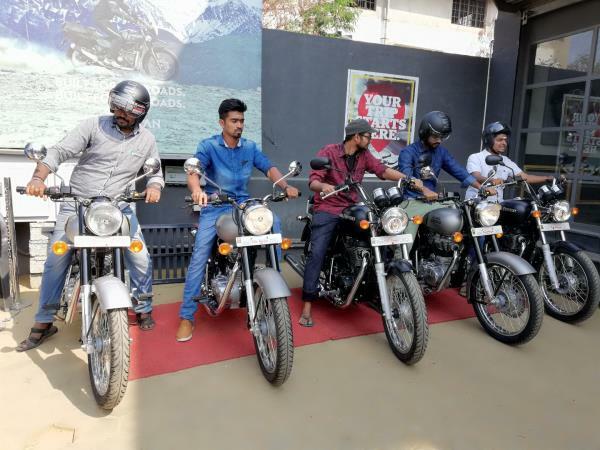 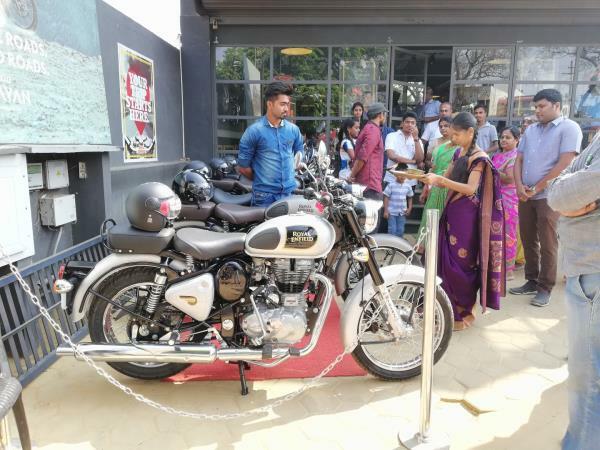 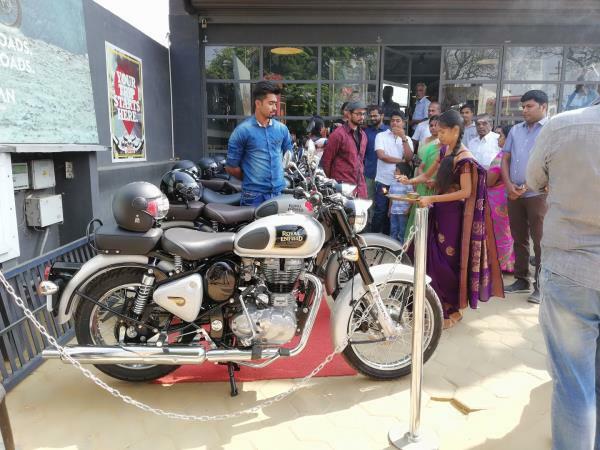 For your Royal Enfield Test Drive at Tiruppur or Service center for your existing Royal Enfield., yes Riderz is the best place.Making available a wide range of two-wheelers, RIDERZ at Periyar Colony, Tirupur is popular dealer of bikes. 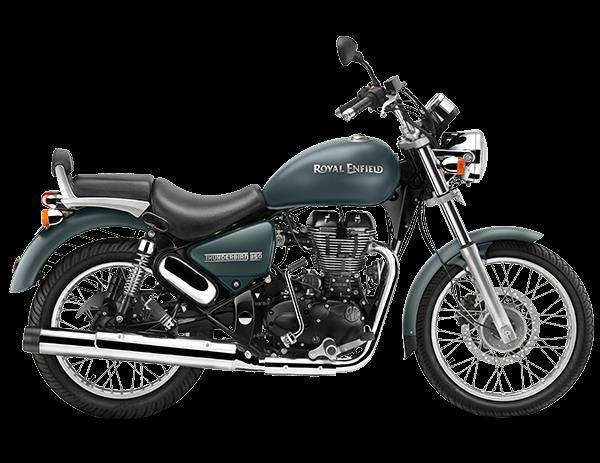 The dealer's association with the automobile brand dates to 2017. 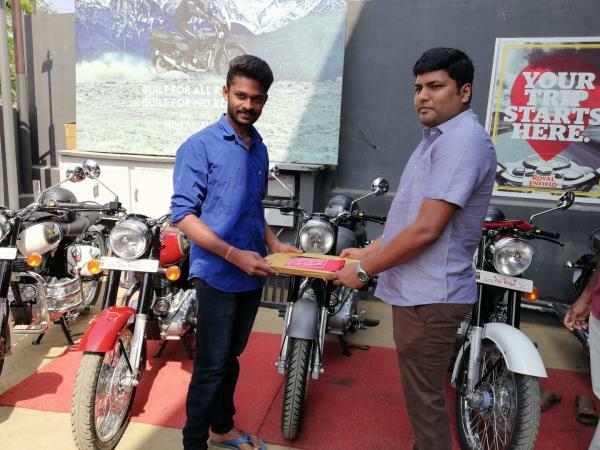 The dealer believes in the brand's approach of establishing long-lasting relationships with its clients and it is this commitment that has led to the success of the dealer. 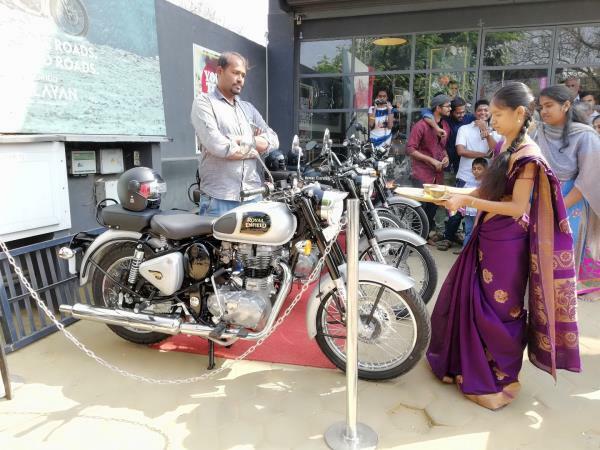 The showroom can be spotted with ease. 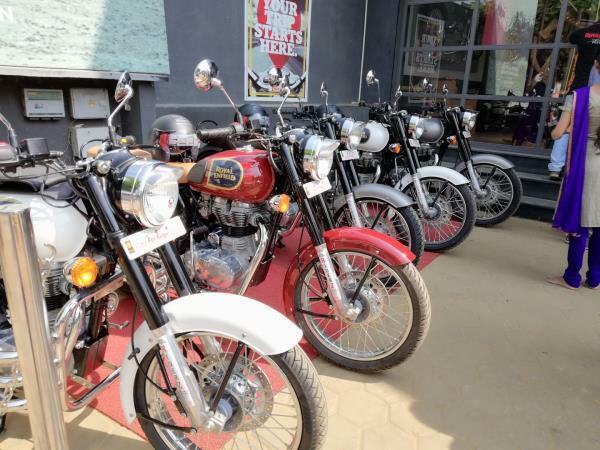 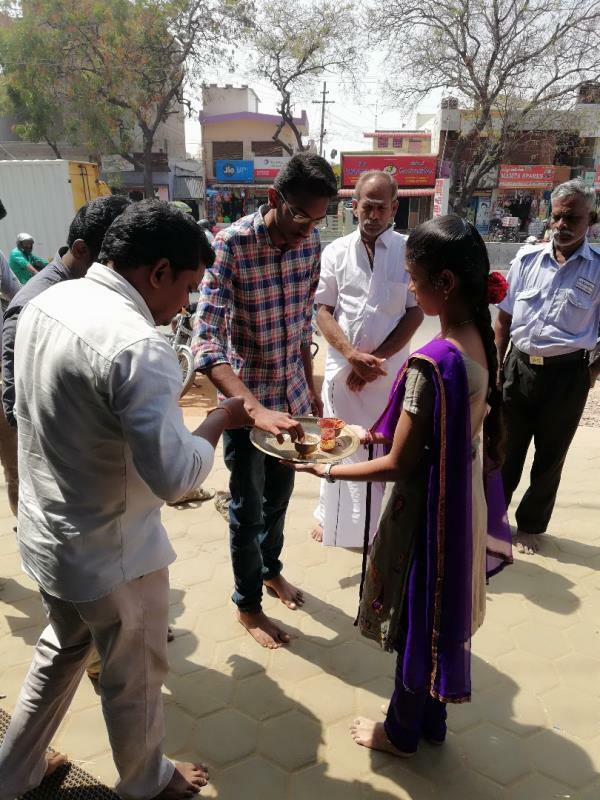 Located Gandhi Road Anupparpalayam post, a renowned landmark in Periyar Colony. 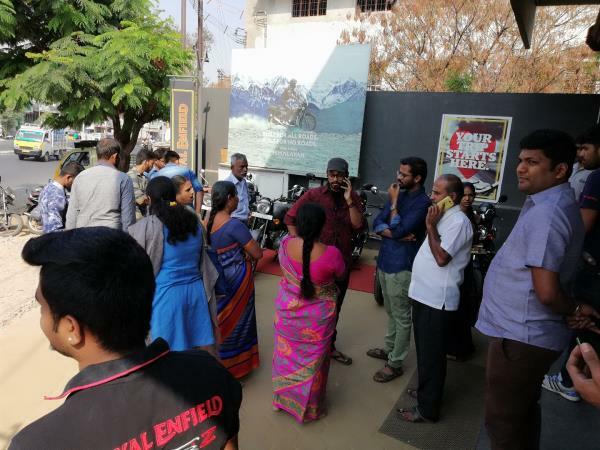 The establishment enjoys a prime location with potential buyers surrounding the place in commercial and residential establishments. 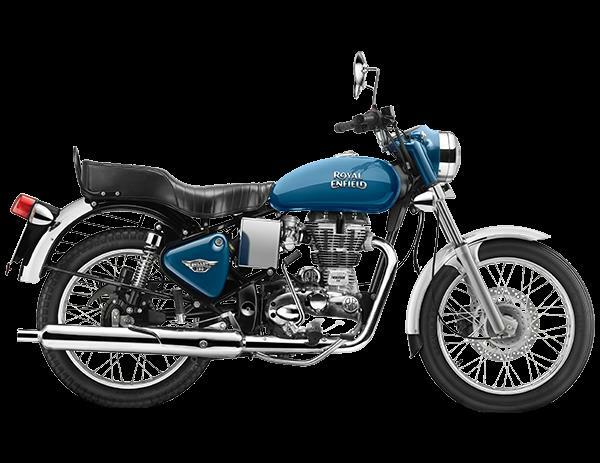 It can be contacted on +(91)-8098277700,8098377700,8098977700. 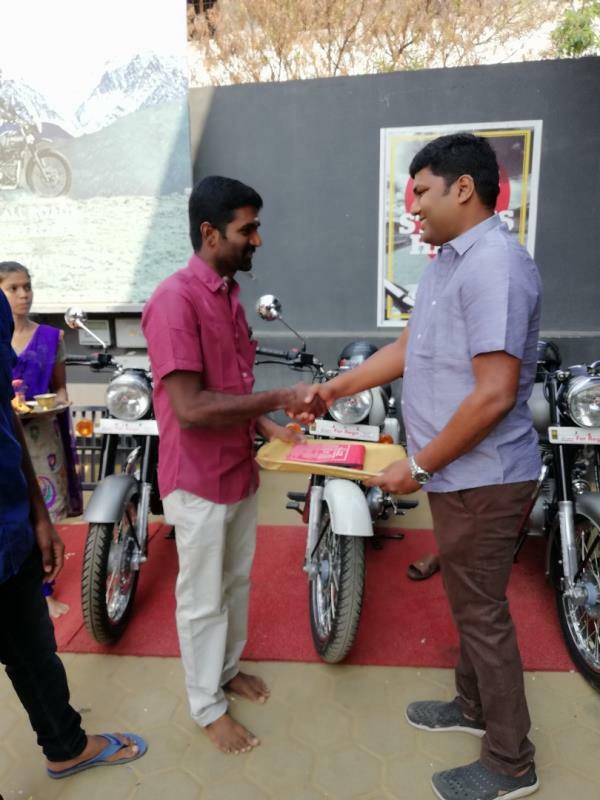 Undoubtedly it is one of the Best Motorcycle Dealers in Periyar Colony, Tirupur. 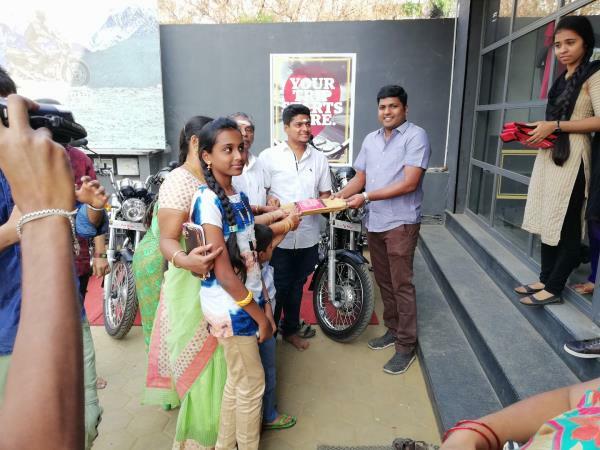 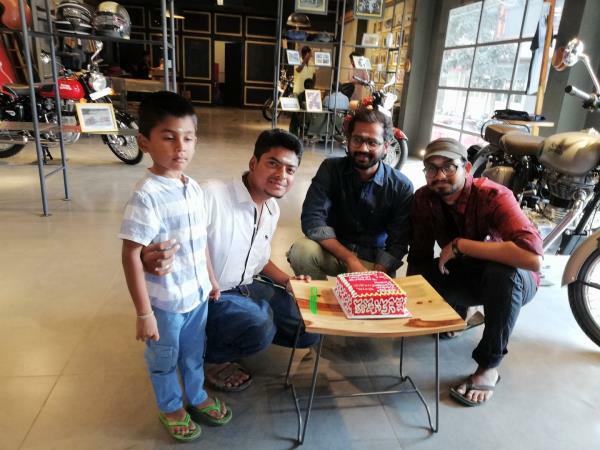 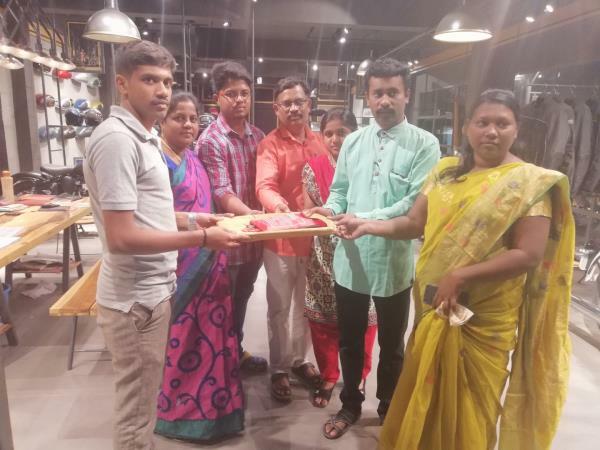 Services Offered by RIDERZ RIDERZ at Periyar Colony is a sales showroom where two-wheeler enthusiasts can choose from a variety of motorcycles. 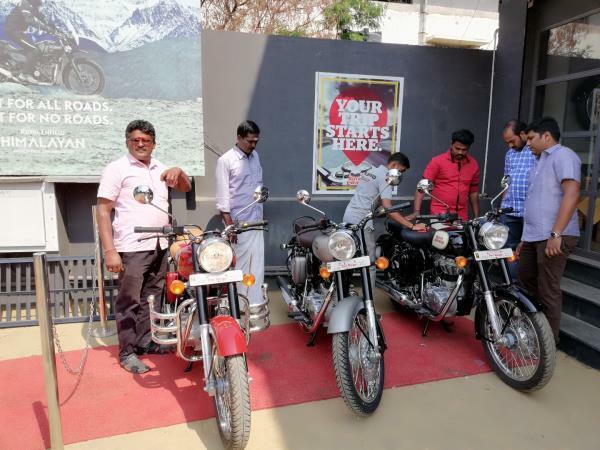 The showroom displays a wide range of two-wheeler models both, new and popular ones. 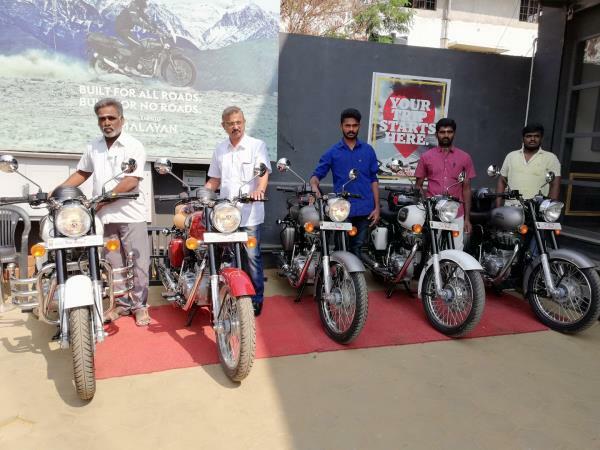 The sales staff employed at the showroom is well-trained and experienced. 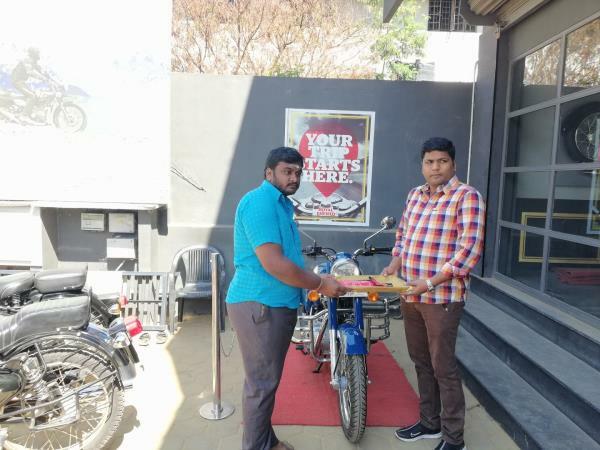 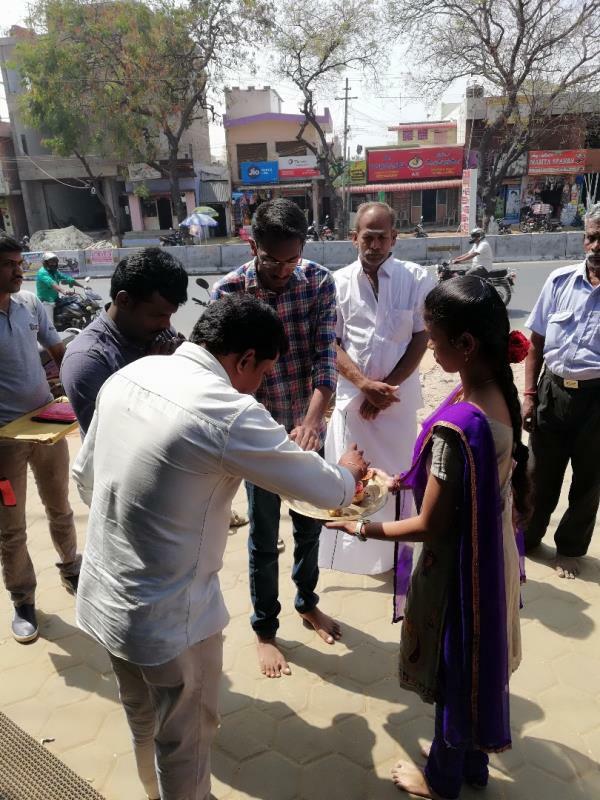 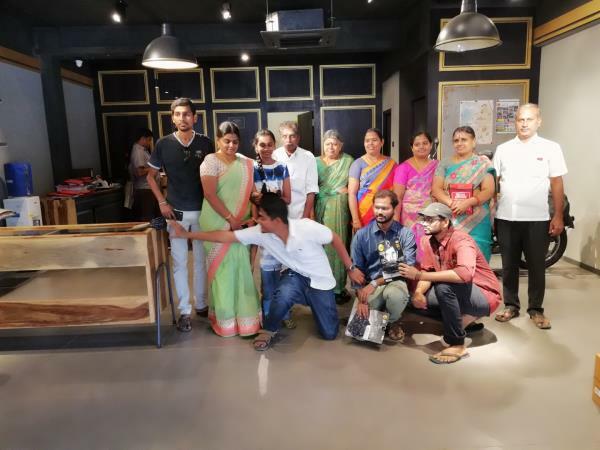 The entire team is committed to offering the best of service to its customers and leaves no stone unturned in ensuring potential buyers find something that matches their requirements perfectly. 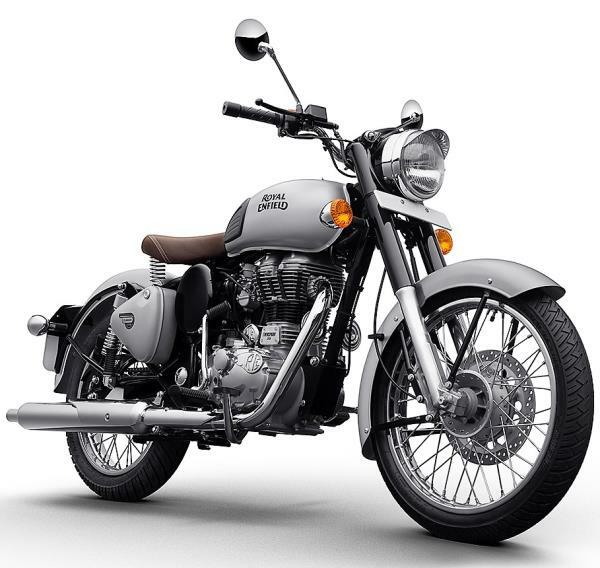 Their suggestions make it easier for customers to make a well-informed decision. 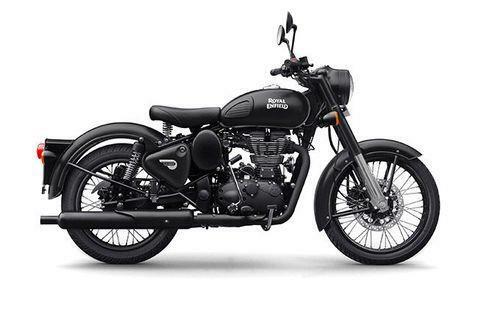 They are capable of providing all the necessary information with regards to the salient features, specifications, on-road price and model availability. 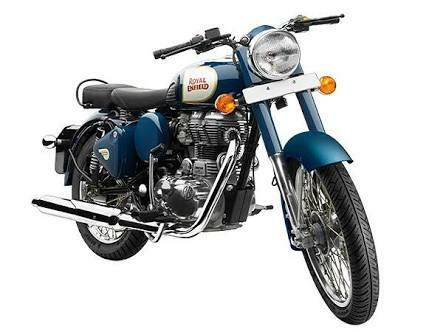 In addition, the staff also furnishes important information related to loan and insurance availability. 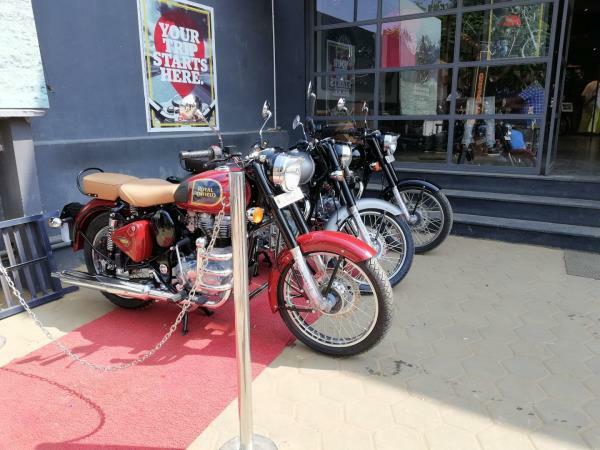 Customers can contact the establishment for any information or visit the showroom from morning to evening. 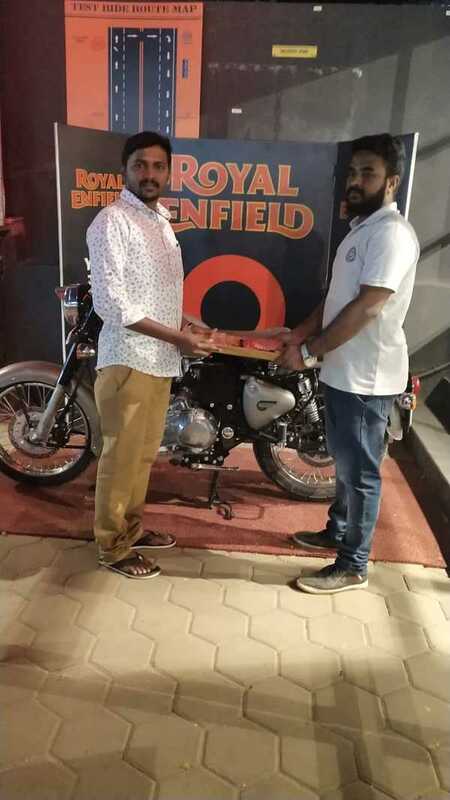 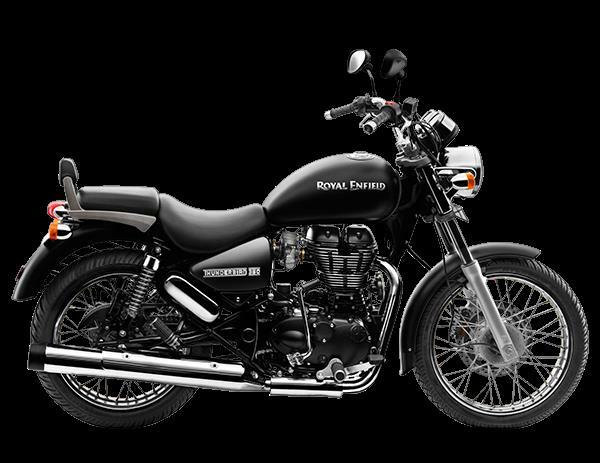 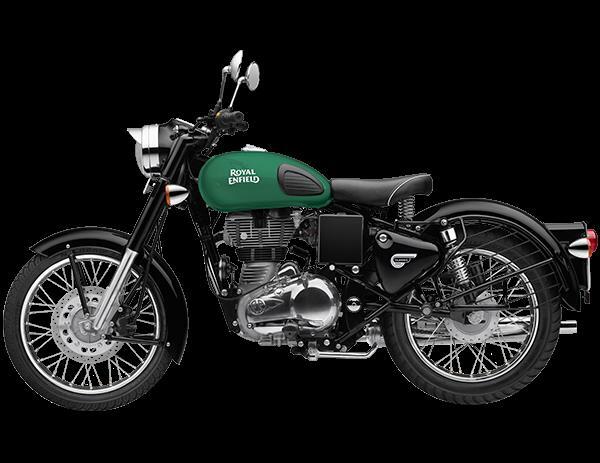 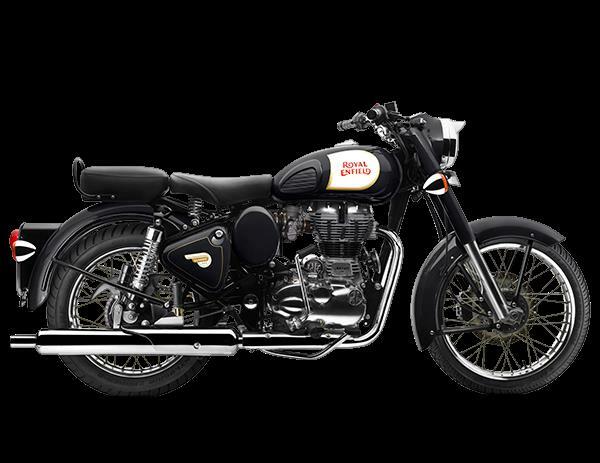 We are the authorised Sales and Service Partner of Royal Enfield Bikes in Tiruppur. 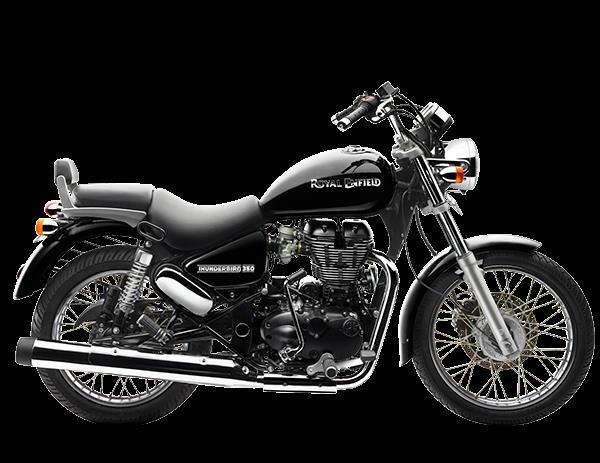 And we are the Dealers of all kinds Royal Enfield Bikes. 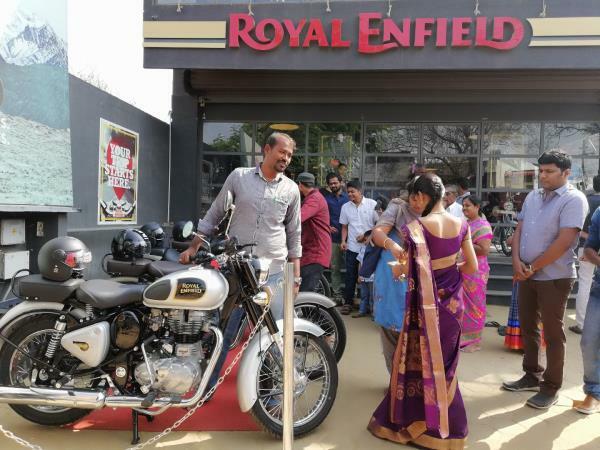 For your Royal Enfield Test Drive at Tiruppur or Service center for your existing Royal Enfield., yes Riderz is the best place.Making available a wide range of two-wheelers, RIDERZ at Periyar Colony, Tirupur is popular dealer of bikes. 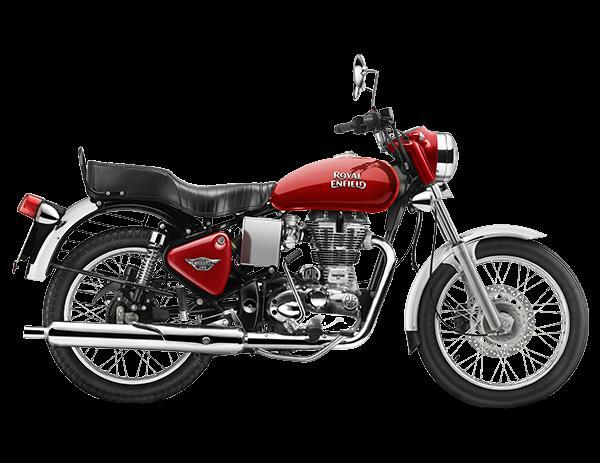 The dealer's association with the automobile brand dates to 2017. 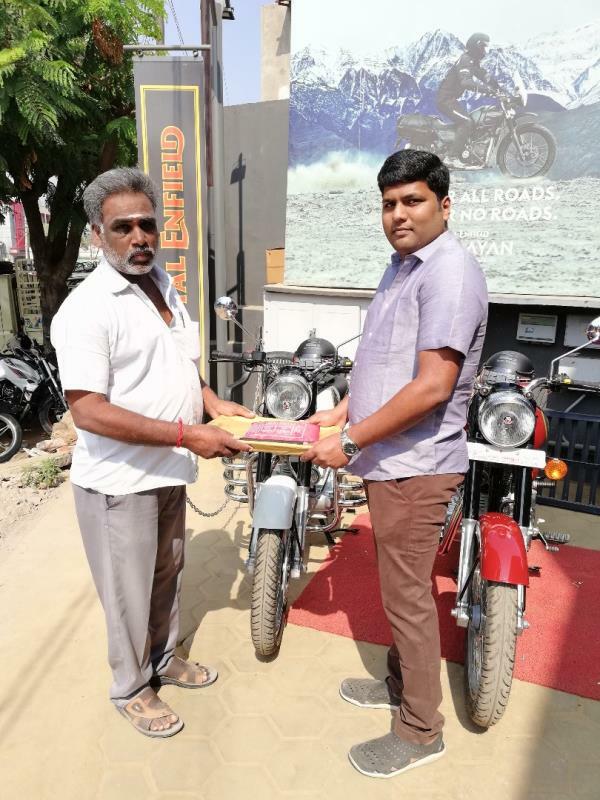 The dealer believes in the brand's approach of establishing long-lasting relationships with its clients and it is this commitment that has led to the success of the dealer. 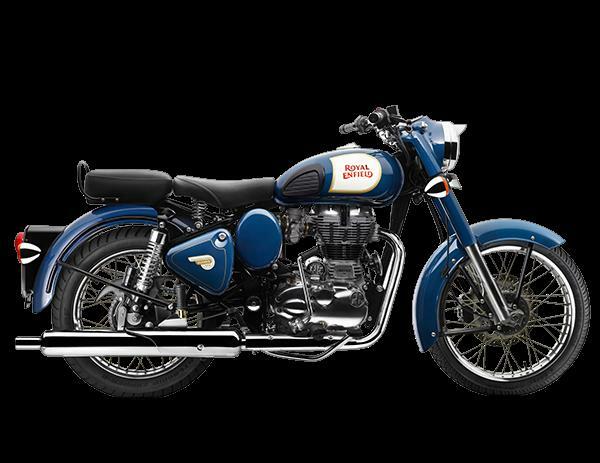 The showroom can be spotted with ease. 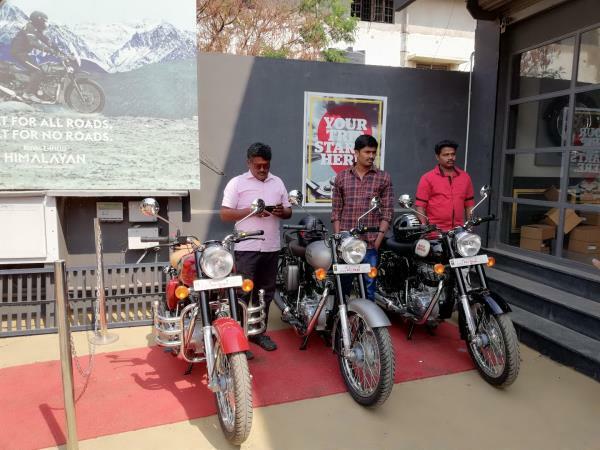 Located Gandhi Road Anupparpalayam post, a renowned landmark in Periyar Colony. 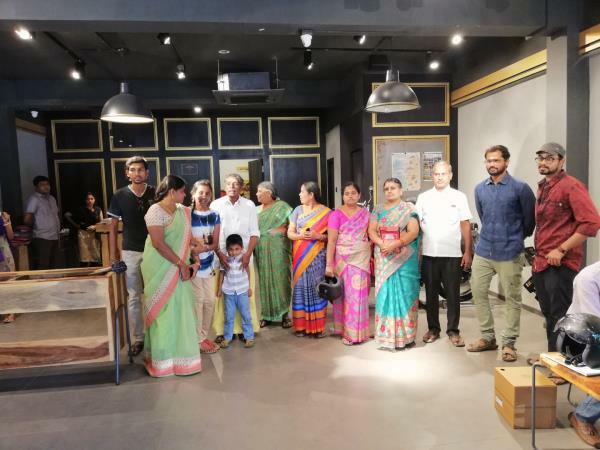 The establishment enjoys a prime location with potential buyers surrounding the place in commercial and residential establishments. 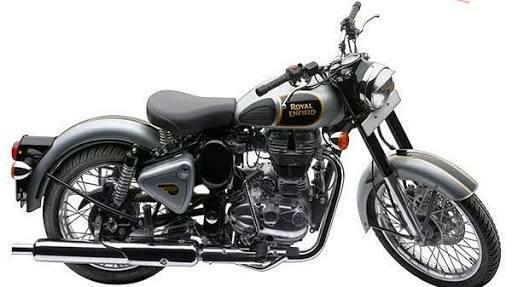 It can be contacted on +(91)-8098277700,8098377700,8098977700. 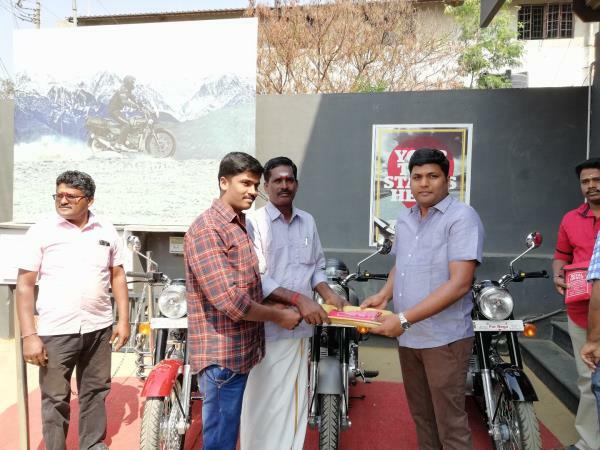 Undoubtedly it is one of the Best Motorcycle Dealers in Periyar Colony, Tirupur. 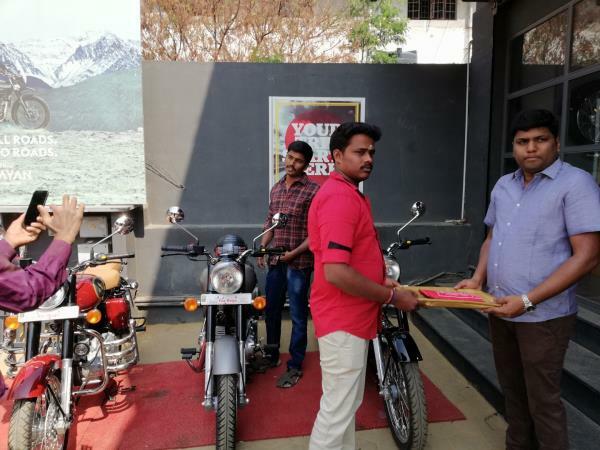 Services Offered by RIDERZ RIDERZ at Periyar Colony is a sales showroom where two-wheeler enthusiasts can choose from a variety of motorcycles. 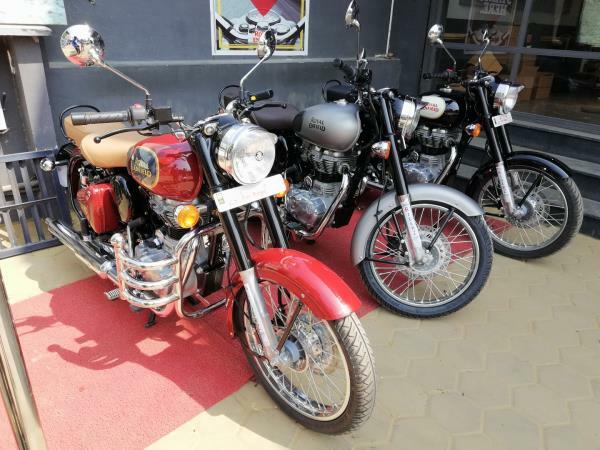 The showroom displays a wide range of two-wheeler models both, new and popular ones. 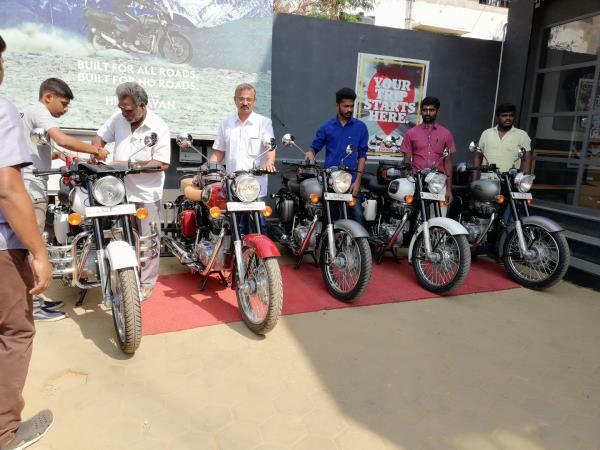 The sales staff employed at the showroom is well-trained and experienced. 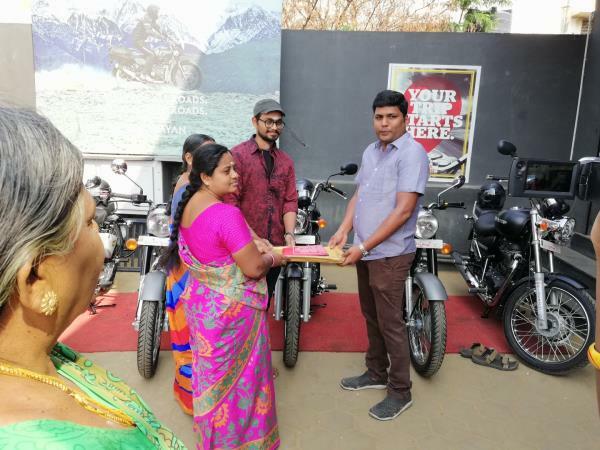 The entire team is committed to offering the best of service to its customers and leaves no stone unturned in ensuring potential buyers find something that matches their requirements perfectly. 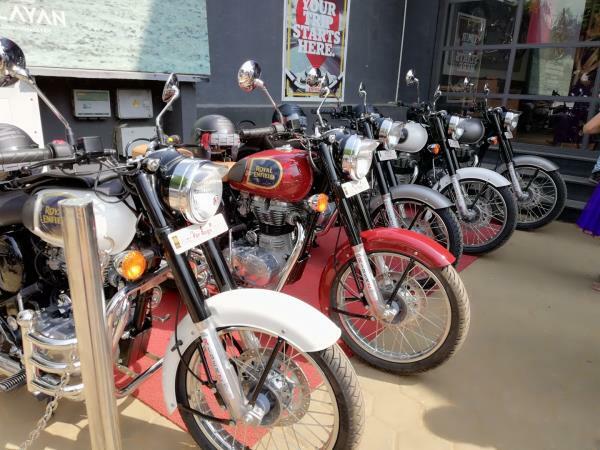 Their suggestions make it easier for customers to make a well-informed decision. 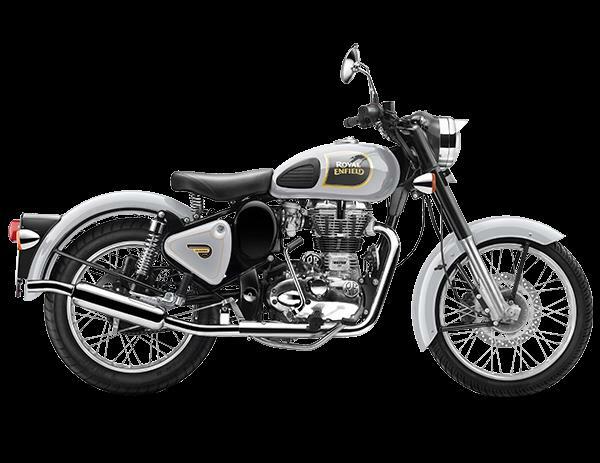 They are capable of providing all the necessary information with regards to the salient features, specifications, on-road price and model availability. 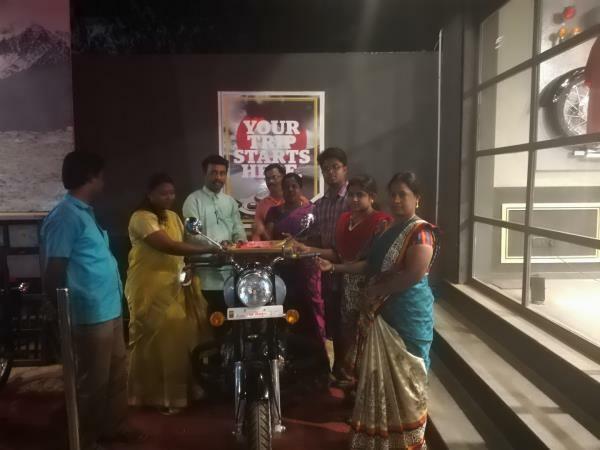 In addition, the staff also furnishes important information related to loan and insurance availability. 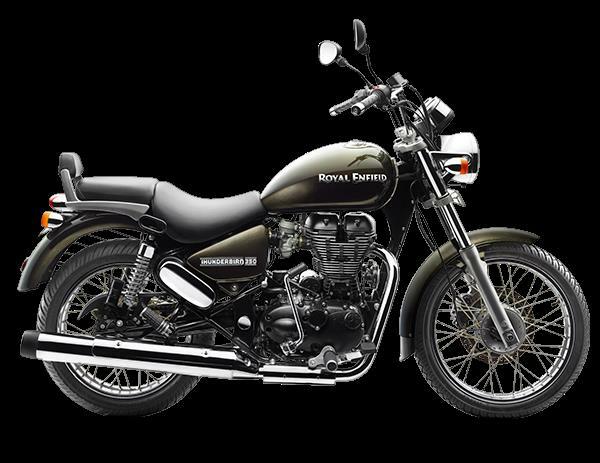 Customers can contact the establishment for any information or visit the showroom from morning to evening.